Bill Belichick may be holding his breath over the next 24 hours as several key members of his Super Bowl-winning squad head to Churchill Downs for Saturday’s Kentucky Derby. 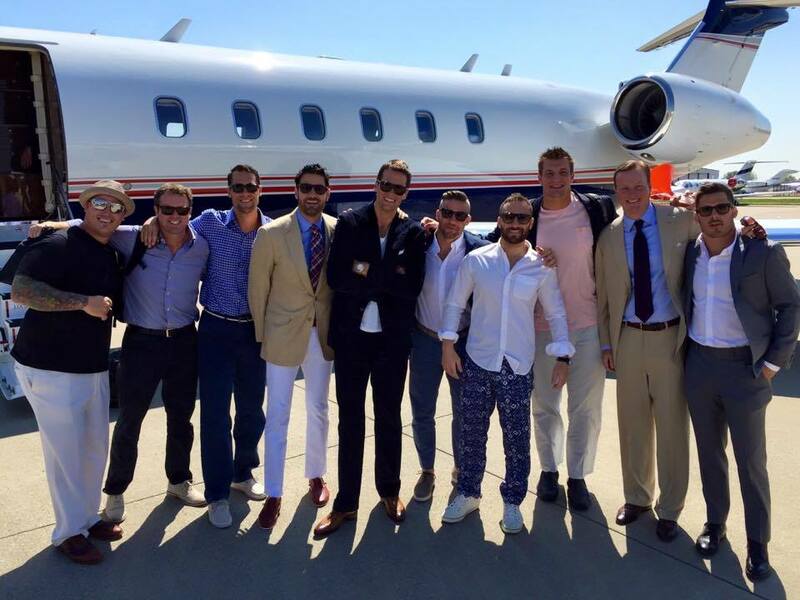 The New England Patriots entourage includes Tom Brady, Julian Edelman, Danny Amendola….and Rob Gronkowski. Yes, Gronk will be at the Kentucky Derby. He joined his teammates on a private jet Friday for Saturday’s festivities per a photo from Tom Brady’s Facebook account. It’s simple. Gronk will either be closed to the best dressed guy there or will not be a wearing a shirt. I’d suppose there will not be a lot of grey area for Gronk. A year following Wes Welker’s alleged run-in with Molly and handing out money to people as if its Kleenex tissues, Gronkowski heads into the Derby. One way or another, there should be some epic Gronk pictures that come out of this weekned.